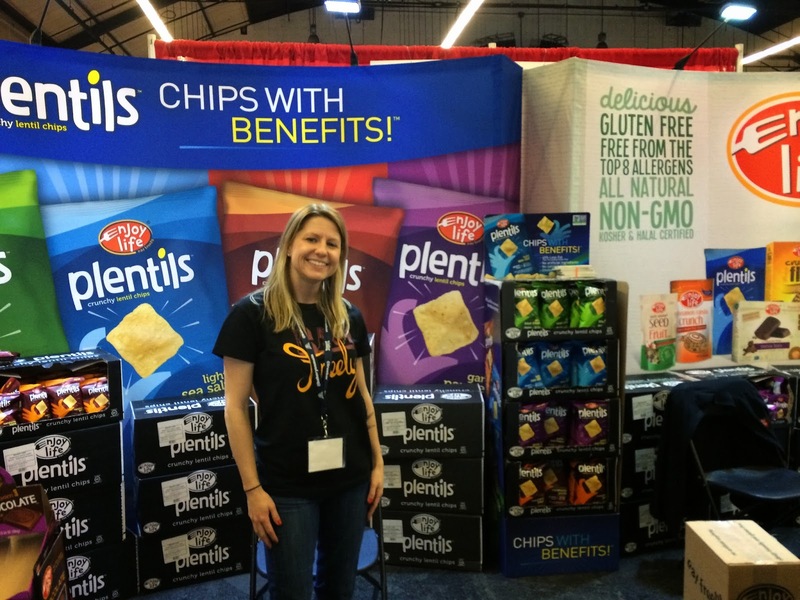 If you didn't have a chance to make it to the Gluten-Free Allergen-Free Expo this past weekend (Jan 25/26, 2014), here's a quick review of some of the new (and "old") products and companies that are hitting the market. This is just a no-brainer. If you haven't been to Zest Bakery in San Carlos and you are gluten-free, get there now! Many of their products are also dairy-free (like their sandwiches unless you get cheese), vegan and even paleo. 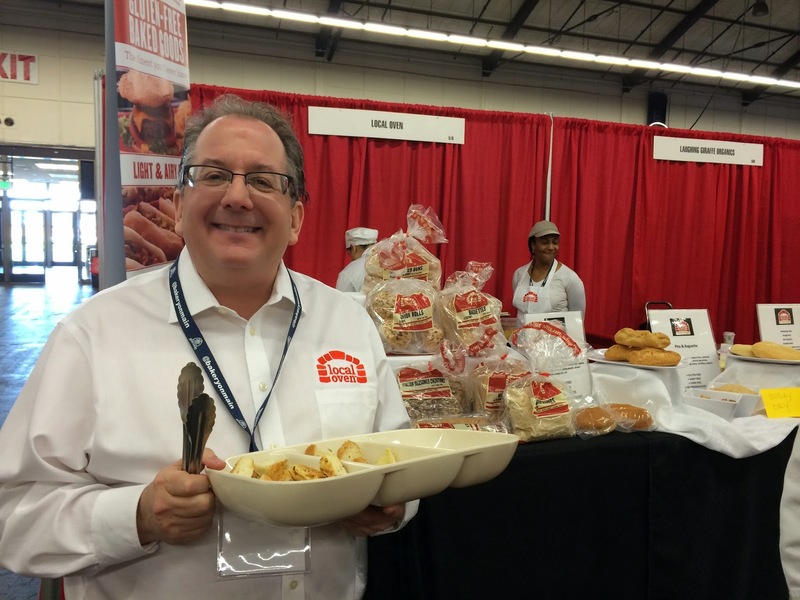 Based out of Dallas, TX, Local Oven is changing the way food service looks at gluten-free. In almost any restaurant in that area, you an get their gluten-free rolls and buns. Wouldn't that be nice! Look for their products in supermarkets as well. I am quite fond of Canyon Bakehouse products. It was nice to see them with a larger presence this year. If you haven't had a chance, try their whole grain bread. We use it for sandwiches all of the time. I also like their focaccia bread. 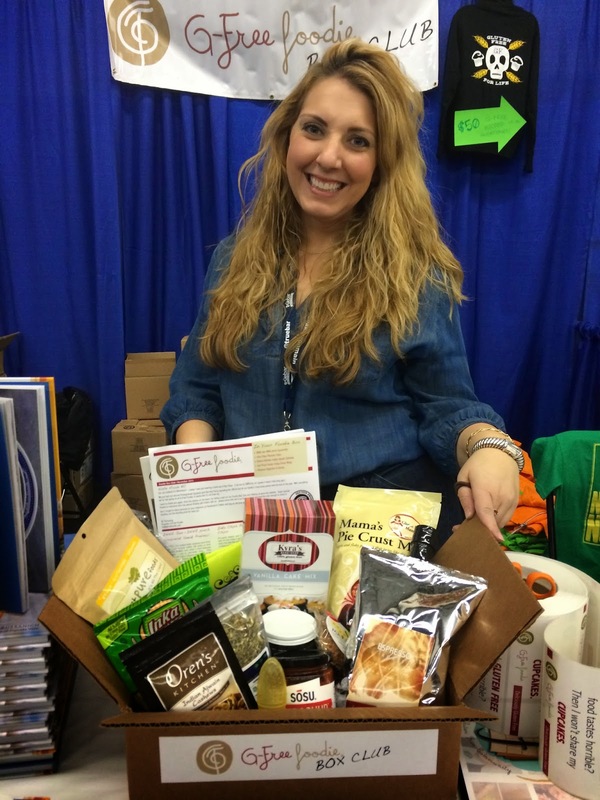 G-Free Foodie delivers boxes of gluten-free items perfect for any foodie! KC is a local to California and knows her stuff. I love her recipes and ideas as well. Kyra is really making a name for herself. 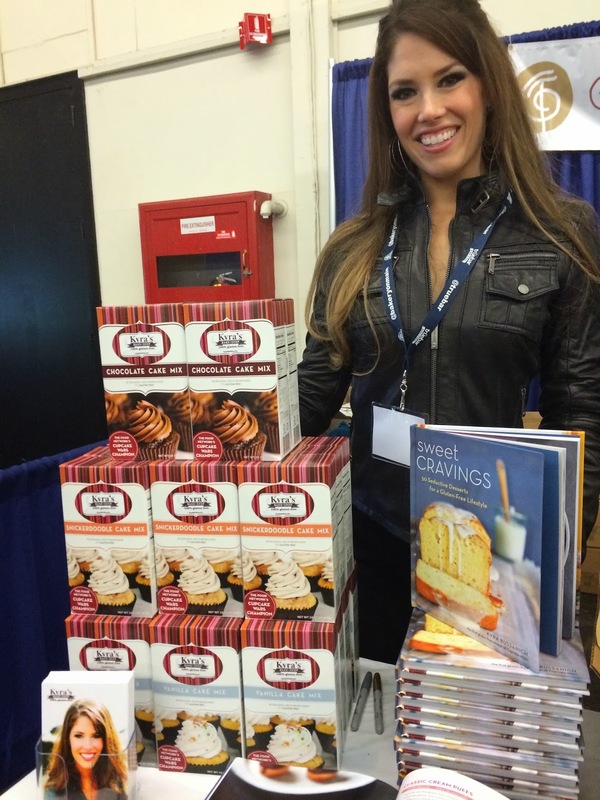 Besides her wildly popular bakery, Kyra's Bake Shop in Oregon, she also has a line of gluten-free cake mixes (chocolate is our favorite) and a new cookbook. She is a 3 time winner of the Food Network's Cupcake Wars with her gluten-free cupcakes. If you need a decadent treat, this is where to go. I didn't get a very good photo of the booth for The Inn on Randolph. It's a lovely bed and breakfast located in Napa, CA and is 100% gluten-free. That's my friend Jeff; he teaches gf classes there. 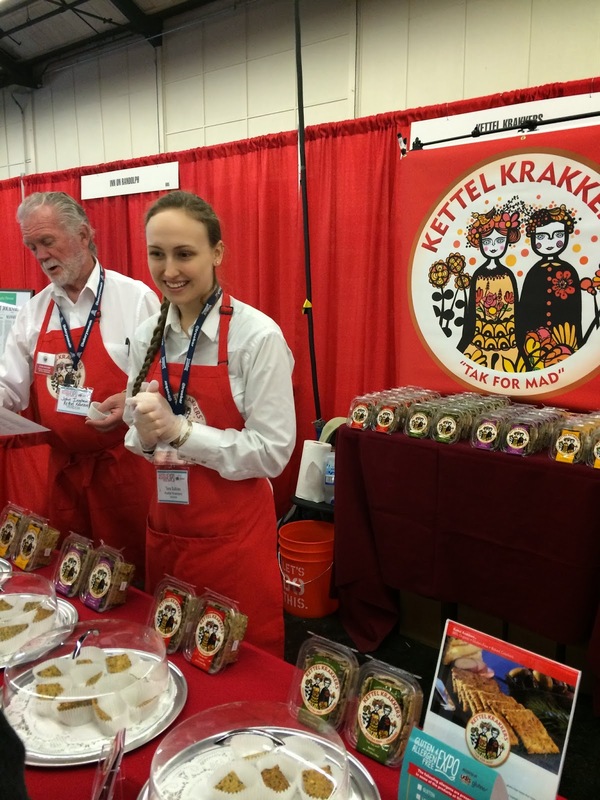 Kettel Krakkers is a fairly new company that was also at last year's expo. I really like the taste of these gluten-free crackers. If you see them, give them a try. The ingredients are organic. 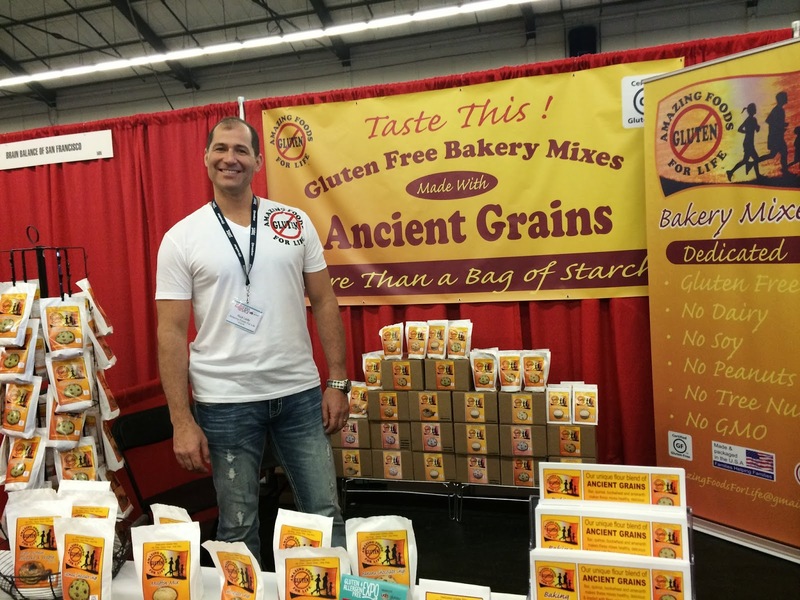 A new "kid on the block", these gluten-free, whole grain mixes were both at the fancy food show and this expo. 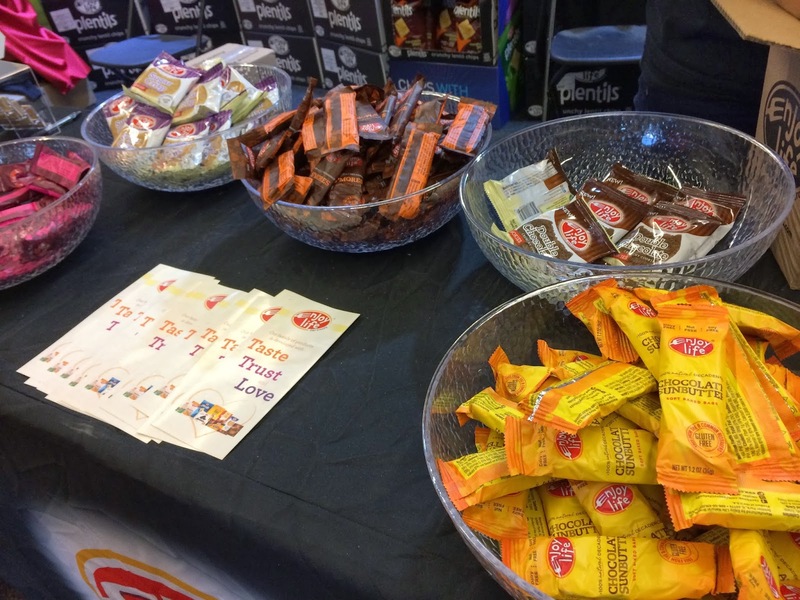 Amazing Foods For Life is a smaller company which is trying to bring their mixes to the mainstream. 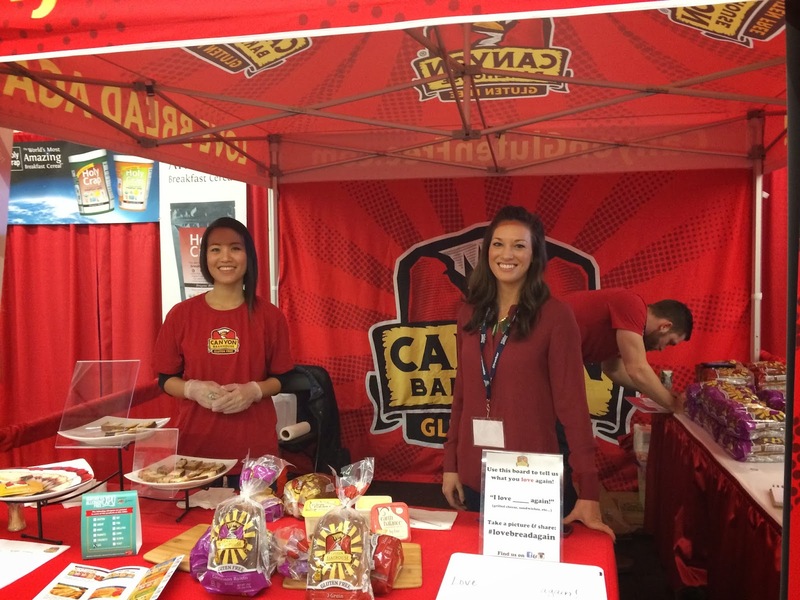 They taste great and their team is very enthusiastic! All mixes come with instructions on how to be made dairy-free and vegan. 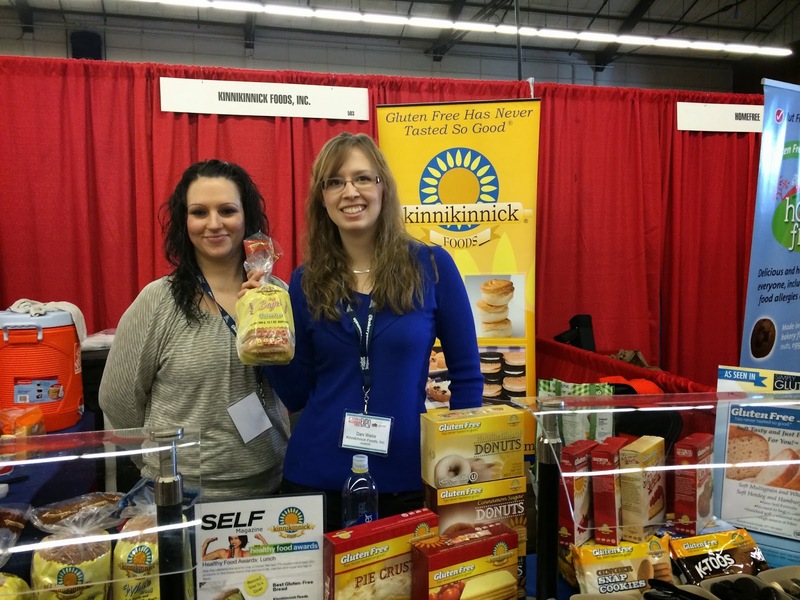 When I first went gluten-free for my daughter in 2007, Kinnikinnick was there. I tried their bread and recently bought their bagels. The bagels were soft and chewy and tasted great toasted. I love their cookies; the closest thing to an Oreo you can get but gf and df! 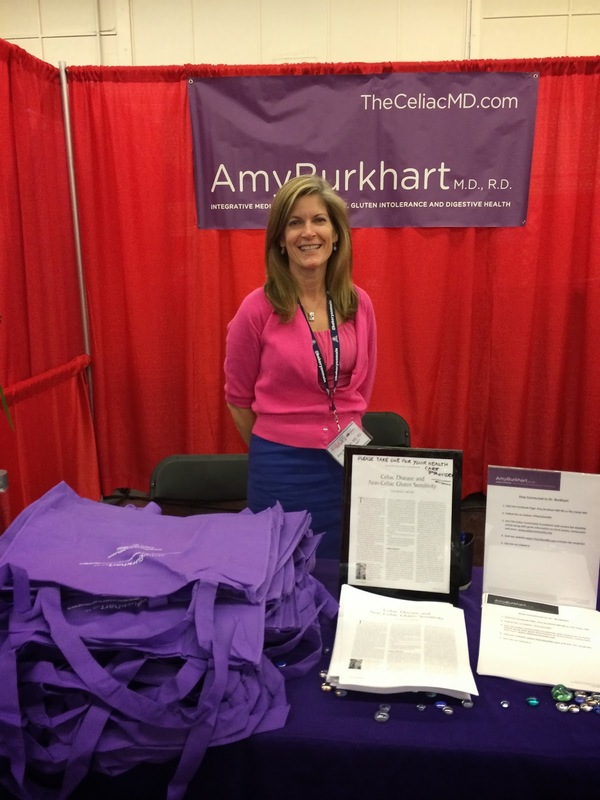 I am so fortunate to have been able to get to know Dr. Amy Burkhart over the past year. She is not only a doctor but a registered dietitian as well. 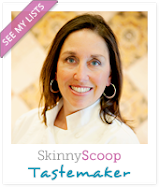 She specializes in celiac disease and gluten intolerance/sensitivity. Besides her medical credentials, she is just an all around nice person. She's located in Napa, CA. 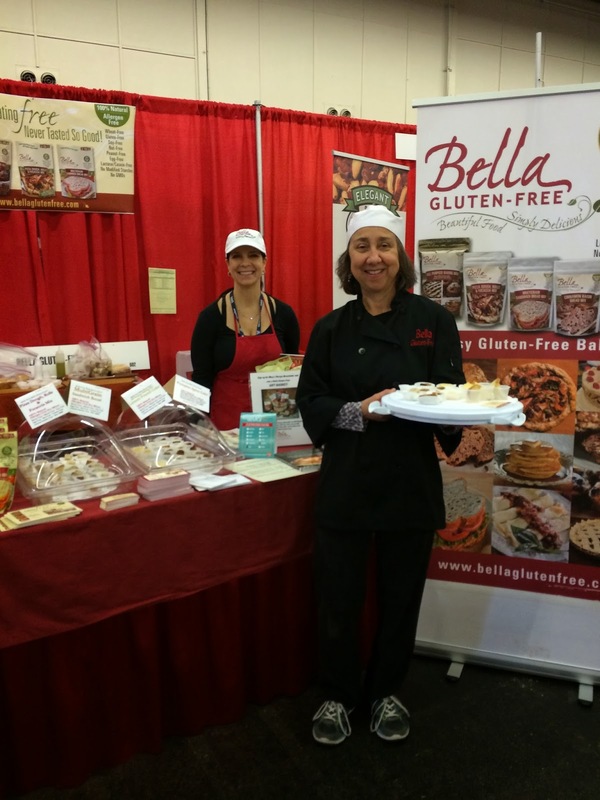 Mary Capone from Bella Gluten-Free always makes me smile. Her products have been on the market for a number of years. Her baking mixes create delicious breads, cakes, pizzas and other treats. Look for them in your grocery store or order on-line from their site. Enjoy Life Foods is another established company. What I like about them is that their products are safe from the top 8 allergens so you don't need to check the label each time. These are some new bars they have come out with. My children liked the S'mores the best. Enjoy Life Foods makes the Plentil chips you see. 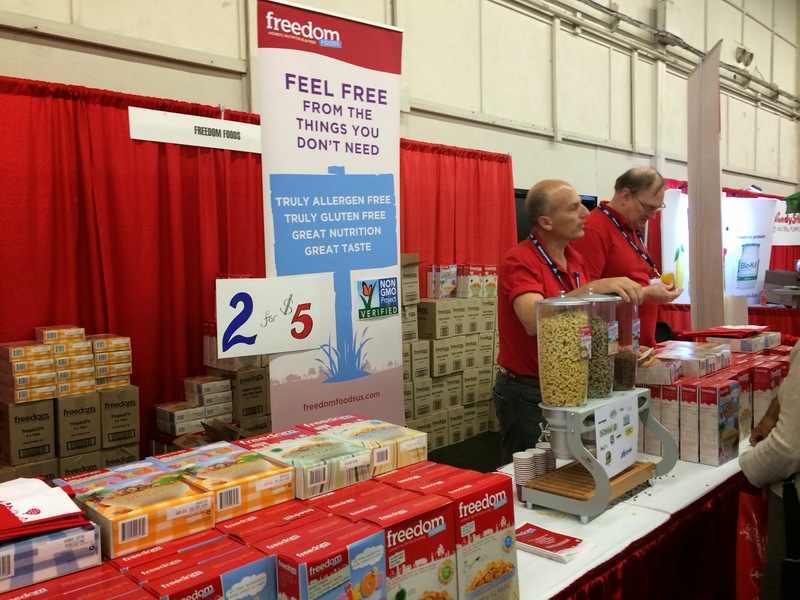 My other good friends from all of the expos are Freedom Foods. Look for a blog post and giveaway coming soon. That's Michael (who I like to call Marco because of his thick Aussie accent) and Fred. They are always enthusiastic to discuss their products. I like the products because they are low in sugar and salt and do not contain GMO ingredients. My kids like them simply because they taste good. Win-win in my book. 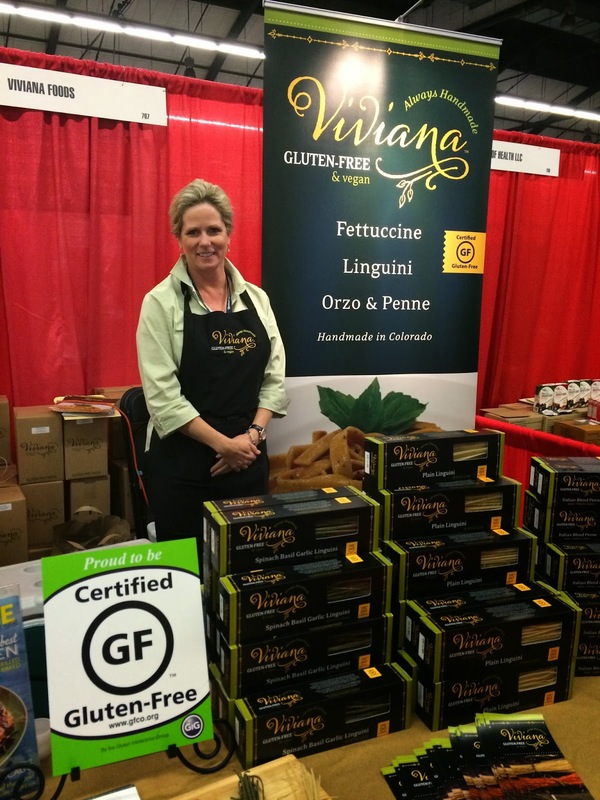 You will be seeing more of Viviana's gluten-free pastas. They have been working hard to make their delicious gluten-free pasta available in more and more places. If you see it, pick up a package and give it a try. Look for a blog post coming soon from me. I wish I had taken more photos of this booth. 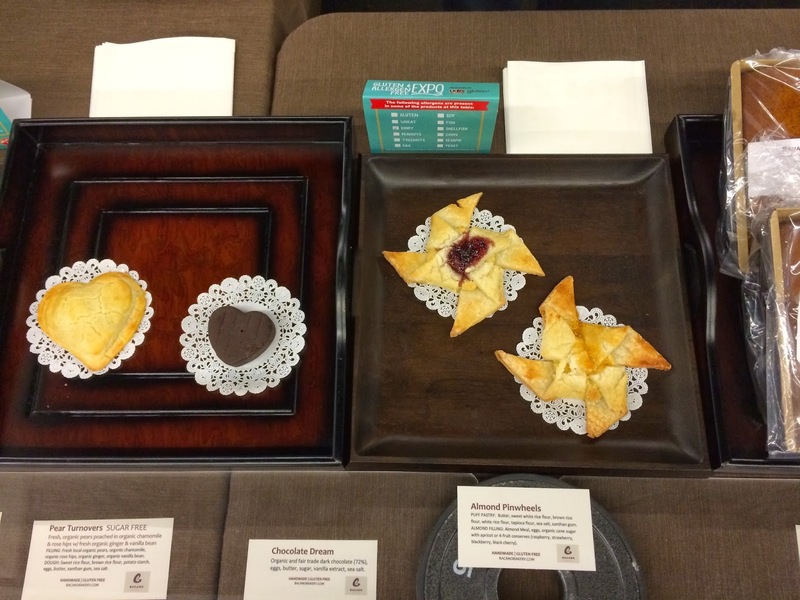 I love the ladies from Natural Decadence Bakery as well as their story. I wrote a blog post about them last year. 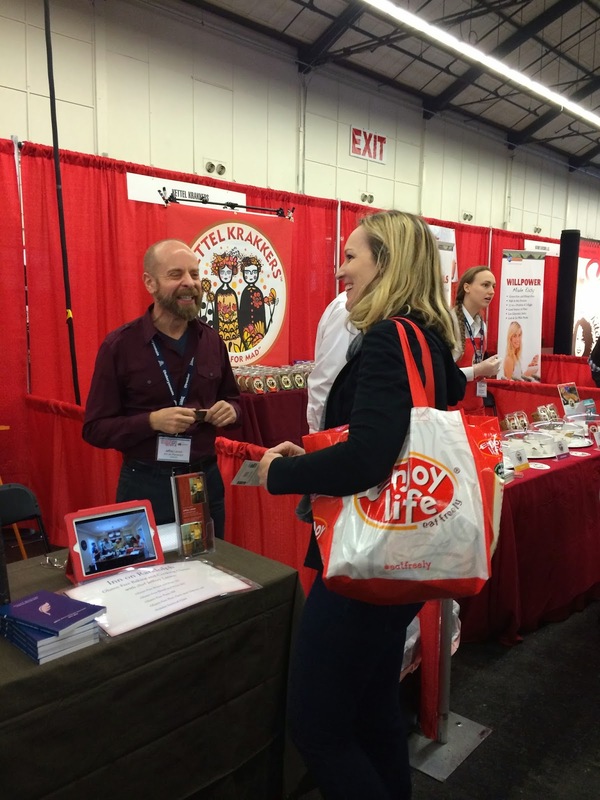 Their products are delicious and made with so much love! Definitely give them a try. Sadie is well known for her sourdough bread. I'm sorry, let me rephrase that...delicious gluten-free sourdough bread! I love seeing Bread Srsly become bigger and available in more and more places. 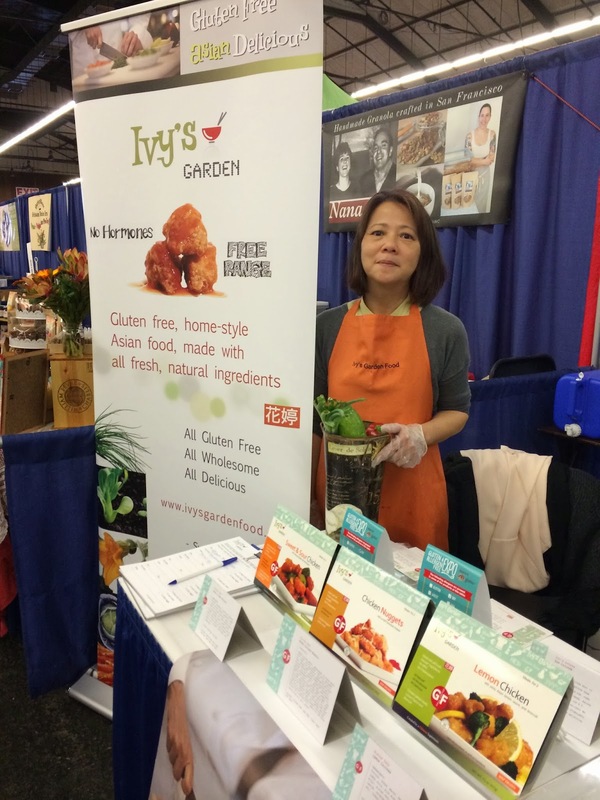 Ivy's Garden (yes, that's Ivy) is another gluten-free friend who I have become acquainted with over the past year. Her gluten-free frozen products are simply delicious. 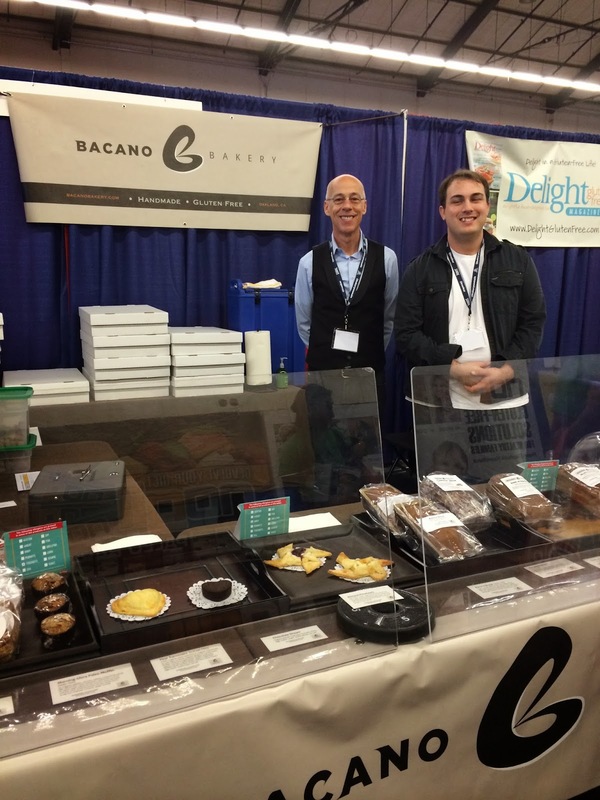 New to the expo this year is Bacano Bakery. 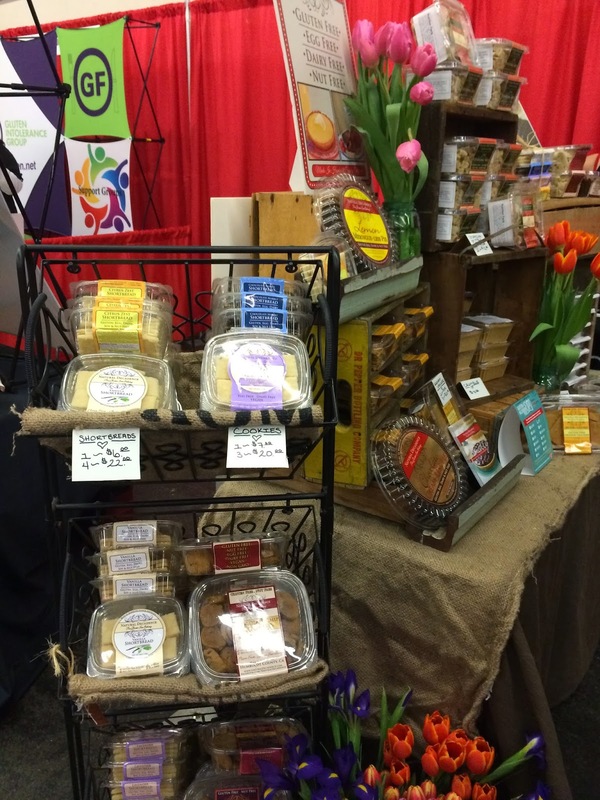 They are based in Oakland and sell at farmer's markets and cafes in the bay area. They make a variety of products (see below and be ready to drool); some contain dairy; others are dairy-free and even vegan. Of the samples I tried, I liked the multi-grain bread the best. No, I did not try the danish! There were MANY more vendors who I didn't either get a chance to talk to or just didn't get their picture. I also liked Luce's Artisan Bread Mix. I bought a bag to try at home. They just came out with a buckwheat mix but did not have it there (darn). 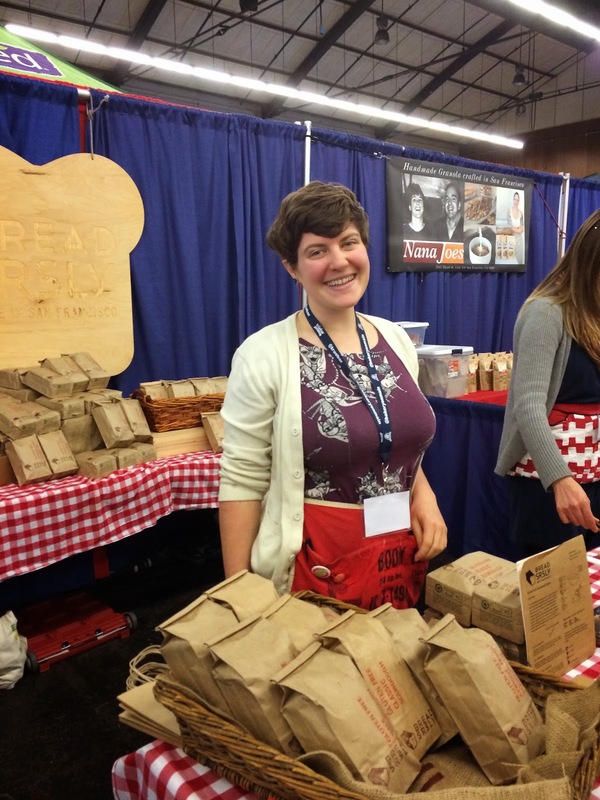 I don't have her picture but do check out my friend Erica Dermer's page Celiac and the Beast. She also just wrote a (very funny) book. Here is another review with some more vendors from my friend Sandi at Fearless Dining. 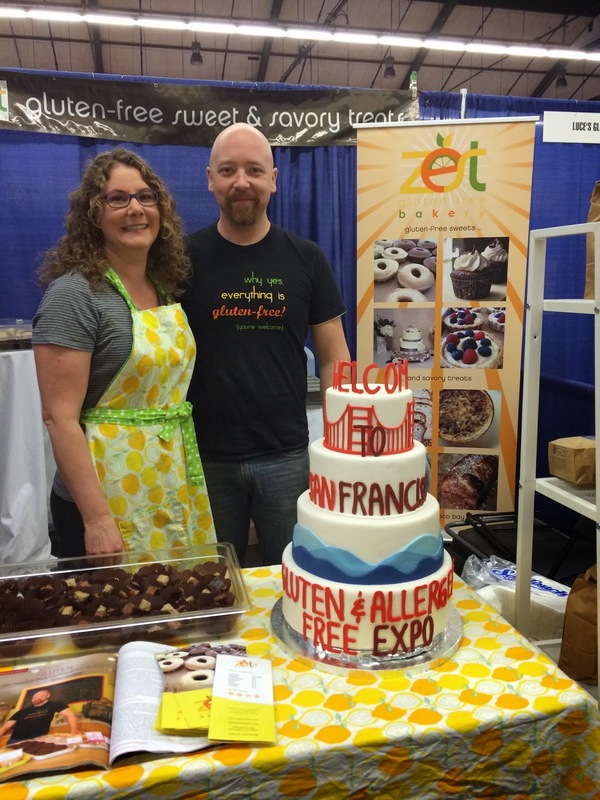 If you eat gluten-free or are considering it, I would suggest going to an expo to see what's on the market. Many people still think they could never be gluten-free because there are no good products. That is no longer the case. Leave a comment with your thoughts or if there was a vendor that you liked in particular. Thanks!